This is an unknown Israeli light tank, developed in parallel with the Merkava Mk.3 development, which puts it into the late 1980s. It was apparently developed as a cheaper alternative to the Merkava using existing technologies – the engine comes from the Azcharit, which itself was a Soviet T-55 converted into an AFV. That would make the engine the 650hp Detroit Diesel 8V71TA. The suspension was based on the Merkava design. Only one prototype was apparently built, it was never mass-produced. At least that’s what I’ve been able to glean from the source that’s obviously written in Hebrew. I don’t read or speak Hebrew, so if any of you do, the text starts roughly on page 85 of this book. The Achzarit didn’t use the old V-55 580hp engine, but a Detroit Deisel 8V71TA generating 650hp. Ah, right, that makes sense. Will fix the article. 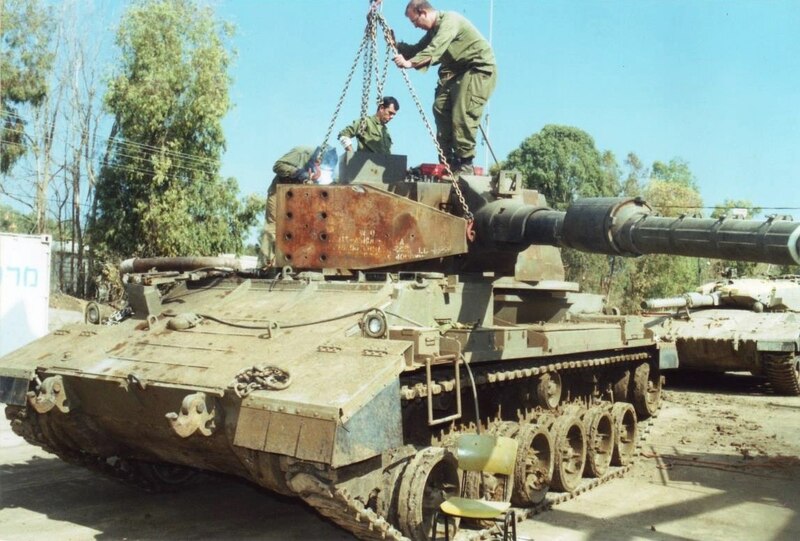 The suspension was not designed on the basis of the Merkava’s suspension. The book is about Yehiam Herpez who designed the suspension and track systems for all generations of the Merkava. It was said that the suspension was of torsion bar type and he had no previous experience with such systems, yet managed to develop it in a record time of 7 months after being allocated 20 months. The Merkavas had spring suspension. Development was likely much closer to the Mark 4 in timeline than the Mark 3.